Credit card fraud is a serious felony charge in New Jersey punishable by time in state prison, probation, fines, and a permanent felony conviction on your record. In addition, typically the defendant is required to pay restitution in the amount of the fraud that was committed. 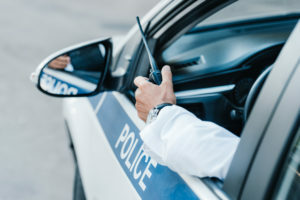 The Morris County NJ criminal defense lawyers at the Tormey Law Firm LLC represent clients charged with theft and fraud offenses including shoplifting, forgery, check fraud, and credit card fraud throughout Morris County including in Chester Twp., Florham Park, Roxbury, Rockaway, and Jefferson Twp. In fact, one of our attorneys is a former Morris County assistant prosecutor who used to prosecute these charges for the State of NJ in Morristown. Now, let him put his experience and expertise to work for you fighting these cases. In addition, our managing partner, Travis J. Tormey, is a perfect 10.0 rating on Avvo.com, an attorney rating service, and Mr. Tormey has received the clients choice award from Avvo for four straight years. If you or a loved one needs assistance with a credit card fraud charge in Morris County NJ, contact the Tormey Law Firm now for immediate assistance at 908-336-5008. The initial consultation is always provided free of charge. h. Fraudulent use of credit cards. A person who knowingly uses any counterfeit, fictitious, altered, forged, lost, stolen or fraudulently obtained credit card to obtain money, goods or services, or anything else of value; or who, with unlawful or fraudulent intent, furnishes, acquires, or uses any actual or fictitious credit card, whether alone or together with names of credit cardholders, or other information pertaining to a credit card account in any form, is guilty of a crime of the third degree. A third degree indictable (felony) offense is punishable by three (3) to five (5) years in New Jersey state prison in addition to fines, potential probation, and a permanent felony charge on your record. Now, if you have no prior criminal history, there is a presumption of non-incarceration for first time offenders. This means that, even if you are convicted of third degree credit card fraud, you should be sentenced to probation as opposed to state prison. Remember, however, that they can give you up to 364 days in the Morris County Jail as a condition of probation even if they don’t send you to state prison. Further, first time offenders are also eligible for a diversionary program known as pre-trial intervention (“PTI”). If you apply for PTI and are accepted by the probation department as well as the Morris County Prosecutor’s office, then a Judge will place you on probation for a period and, if you successfully complete the conditions and term of your probation, then the charges will be dismissed at the end of the probationary term. In credit card fraud cases, they will usually require you to pay back the money that was fraudulently charged, this is known as “restitution” to the victim. As you can see, a third degree credit card fraud charge is a serious offense with serious implications. Our Morris County NJ criminal defense lawyers know everything about these cases and charges and are available now to assist you at 908-336-5008. The initial consultation is always provided free of charge.